The Department of Social Work collaborated with the University of Carolina Wilmington to organise an international symposium on the emerging trends in mental health in both India and the US. 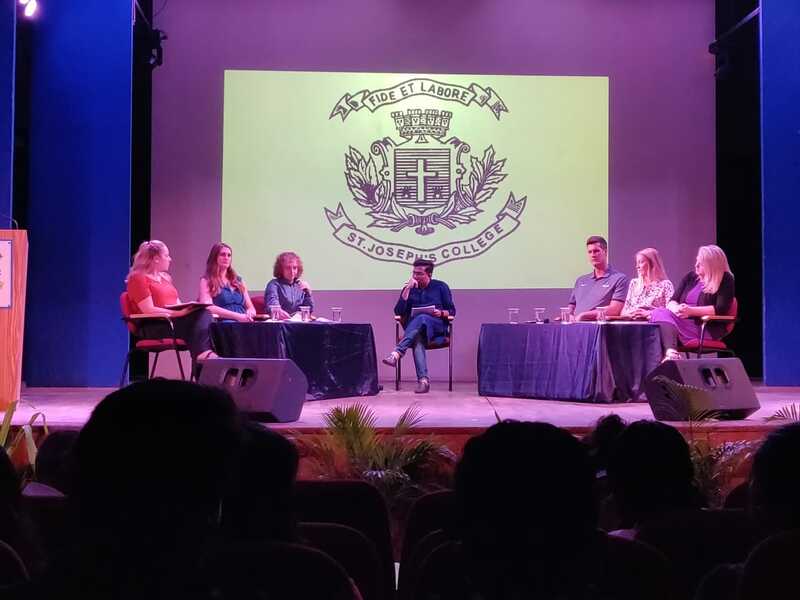 This annual tradition of St. Joseph’s College saw the coming together of students from both countries to present various micro researches on relevant topics in relation to the current status of mental health. Dr Arthur Frankel from the University of Carolina explored the status of mental health in the U.S by uncovering the illicit ties between the medical hospitals and insurance companies. One could procure medical insurance only when diagnosed with a medical illness. Therefore doctors exploited the opportunity by giving their patients a faux or exaggerated diagnosis, mostly of depression. While most Americans couldn’t afford the expensive insurance, these practitioners through false diagnosis also indirectly sell them the insurance. In this way, both the clinicians and the insurance companies stand to gain. While one receives higher payments, the latter gets more insurance applicants. This is mostly seen in marital counselling therapy, where either of the spouses is forced to purchase insurance because they are falsely diagnosed with an array of mental disorders from the DSM-5. He also highlighted how this universally acclaimed diagnostic statistical manual for mental illnesses has been abused to self-diagnose and purchase over the counter medications. Three diversified research paper presentations focussed on three specific target populations. Atheena Colbay explored the arc of childhood-onset schizophrenia of 11-year-old Evonne, in Port au Prince, Haiti. The city was deadlocked with the opposing practices of voodoo ritualism and Christianity when it came to the interpretation of her schizophrenic symptoms. While people attributed the illness to the loss of her father, possession or poisoning, her actual diagnosis was blunt affect auditory and visual hallucination. She was responsive to play therapy where she expressed her locked in frustration by stamping, stabbing and strangling her doll. Against all odds, her family welcomed medical intervention and by 15 months, she was reintegrated back into society. Jaeyal Choi created a self-reported prediction tool to predict depression in older adults. Being a nursing infomatic, she tried to augment large pools of publicly available data to present a tool that can screen the probability of mild depression in people above 65 years. Her intention was to provide an economic tool that enabled them to self- report before mild depression progressed to severe depression. As she is working on creating an app with a simple interface, this prediction tool can be used in the confines of one’s own home, saving on transportation or hospital costs. “What can we do as faculty to make the transition to college easier for our students”, asked Marie Puccio. She was keen on coming up with strategies for promoting mental health in first-year degree students. The challenges of displacement from support systems, the transition to new living situations and confusion about future career paths could have an adverse impact on mental health. She elaborated on the need for orientation seminars, meditation, and stress reduction techniques to combat the same. This symposium thereby allowed the students to reflect on their own mental health while tracing the status of mental health on a broader spectrum.